Your host, Liese Cairnes, invites you to spend a truly sumptuous break in her highly contemporary and beautifully designed adult only bed and breakfast property in Lymington. Located in the New Forest National Park, Leyland's luxury bed and breakfast facilities afford its guests exceptional comfort and tranquility, whilst at the same time offering all the amenities of Lymington, which lies within easy walking distance of the B&B. The estate is spread over 2 acres and is within walking distance of the town centre and the Isle of Wight Ferry, yet sits in a delightful rural location. Leyland offers luxury B and B in Lymington with spacious en-suite or private bathroom accommodation in three bedrooms and in the luxurious barn and a beautiful cottage. Liese Cairnes has won high praise for her business while appearing on the hit Channel 4 show ‘Three in a Bed’ where B&B owners review each other’s accommodation and rate their hospitality. Superb! Attention to detail excellent. Great b&b Very comfortable and clean and the breakfast was varied and of a good standard. Under 10 minute walk into Lymington Friendly staff and beautiful location We were in told room and the bathroom was fabulous also! Highly reccomend Only feedback is in the morning we could hear some beeping I'm the kitchen beneath the room. Lymington is a great town! We fell in love with it. However, dont book dinner too late as things are not open late! We ate at koh thai and lanes of lymington both of which we thoroughly enjoyed and would again recommend to anyone. Market day on Saturday also fab! And make sure you walk down to the quay for crabbing! Plenty of parking on site. It is a easy 10 minute walk to Lymington high street, which in the dark is slightly off putting as there are no paths and you have to walk a short part in the road. The Hotel provides torches or you can get a taxi back for the short journey. We ate at The Kings Head and The Ferryman both were excellent. Leise was friendly and welcoming. Great breakfast... definitely try the sausages!! I stayed in the purple room. It was clean, spacious, with great views. Will definitely be back. Outstanding hotel., We were in a rush so requested breakfast at 8; staff were really friendly and accommodating and the breakfast was of a stunning standard. The rooms are spotlessly clean and very homely, with lots of pleasant touches and quality products. I would recommend this for any recreational/ business trip. Beautiful B&B with a fab choice of breakfast..all of which were excellent. Would definitely stay again if ever in the area. Spent most of the weekend chilling out, eating and drinking. Would recommend The Cellar for drinks..a venue you can stay in for hours sampling the different drinks they have to offer!! Lovely peaceful country home. Staff were lovely would definitely return. Lovely B&B. Comfortable, very clean, quiet, super breakfast choice and my selection very tasty. Wish I had found this one sooner. Ate at Kings Head. Over priced and mediocre food but large portion. Walked there in 15 mins. Was good idea on way but dark when I returned so a bit tricky seeing where to walk on the last part of the road after the bridge as no pavement. A lovely place to stay. Very comfortable, beautifully decorated and staff were extremely helpful. Plan to return and would definitely recommend. Lovely well decorated, very clean and friendly small hotel with freshly cooked breakfast. The welhampton arms just up the road is a great place to eat. Good food and great staff. Bueliue car museum was is great for both men can look around the cars and the lady’s can go and have a good look around the house. The cafe is good to for a coffee and a cake. Welcoming, easy, fresh, spacious, excellent. This country house break was a gift to us from our son and his fiance, and what a lovely gift it was too, very clean and comfortable and in a nice quiet location but still within walking distance to Lymington. The breakfast was perfect with a good choice of cooked and continental. We would recommend this country house to friends and family and would return again ourselves. We visited Hurst Castle which was very interesting and well worth the visit. It was quite a long walk along the beach to get there but a very nice walk indeed. We thoroughly enjoyed our stay, couldn’t fault a thing. We stayed in the Gold room with a huge ensuite including a lovely bath! Everything you needed in the room and cakes on arrival if you wanted. Self check in was really easy and convenient meaning you can arrive at your leisure. Generous tasty breakfast loads of choice. Spotlessly clean everywhere. Thankyou for a lovely stay. Very close to Lymington, lovely town with walks all round. 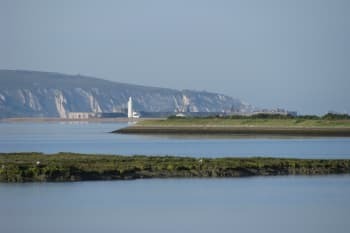 Would recommend going along the coastal walk seeing the Salterns with excellent views of the IOW. Loads of coffee shops and good choice of places to eat out. Facilities and cleanliness and standards were wonderful. Breakfast superb. Jill was lovely. A b&b is not the same without the owners there. We missed having a friendly welcome but I understand that is not normally the case. It was a freezing cold day and we were cold until the little radiator got going. We jumped in the bath to warm up but there was only tepid water so that did not work! Got into bed until we were warm! Loved the books. The walk to town is not far but the first bit is on a fast road with no pavement. A light coloured coat would be wise and a torch if walking back at night. We loved exploring the town and the many art and craft shops. Wonderful silver smith at the bottom of the high street. Great tea shop half way up the street selling proper loose leaf tea. Wonderful cafes and pubs. Great location (handy to walk to Town), fab breakfasts and friendly welcoming staff. A really lovely stay - we will be back for sure to do more walking in the lovely surrounding area. We had the most wonderful few days and were made to feel extremely welcome. It was a lovely touch having the coffee machine in our room and being able to enjoy complimentary cake! The room was beautifully furnished and very clean with a gorgeous view of the autumn trees and fields. We thought it was a lovely walk along the lane into lymington and was in the perfect position for us. Thankyou so much, we thoroughly enjoyed our stay and hope to be able to return very soon! Defo do the walks along path ways etc. Do visit the shops in town. Short journey by train to other lovely locations. Fish and chips were lovely from the high street chippy! Such a nice spot. So close to town yet feels like you are in the country side. The rooms are spotless. Towels, bath robes, water and proper coffee facilities are included in your room. We really enjoyed our stay. Breakfast is delicious too and cooked on the premises. And the ladies they run it are extremely friendly (not intrusive though). I gave location a 4 because after dark it is hard to walk back as the road isn't lit, we had to use our phone torches. Everything was very much to our liking, very friendly, food very enjoyable, nothing was too much trouble. lovely location and very good for a selection of great restaurants, pubs and shops. A super area for delightful beaches and walking venues. Lovely location and homely feel. Staff welcoming and very knowledgeable about local sites and places to eat. Easy walk in to town and with a short car drive plenty of walks and things to do. This was our second visit to Leyland House and we will be back! Having made a mistake with my booking on the rooms, they could not have been more helpful, and allowed us to stay in the room we wanted for the first night. The breakfast is first rate and the staff super friendly and helpful. Would highly recommend to anyone. Great wine bar called the Cave in Milford on Sea which is about 15 mins drive away. Visited Lepe which was a great look out point and walk by the beach. Ate at the Ferryman, which was really good food and within walking distance from the house. We had an amazing stay at the Leyland Country House, great breakfast and lovely people. Would thoroughly recommend it. We had lovely meals in Ciao Belli and The Ferryman, both were excellent. A day trip to Yarmouth on the Isle of Wight is worth doing, as is the sea wall walk around the marshes and nature reserve. Wonderful stay during a busy business trip.Tea & cakes offered upon arrival. Located in a beautiful area & a 5 minute drive to the stunning town by the river with a large variety of excellent eating houses. Taxi cost £3.50 so no need to take your car! Breakfast was 5 star, didn’t eat again until much later! Wonderful friendly staff! Will be taking my wife there in the future. Must see Buckler’s Hard, where Nelson’s favourite Agenemnon was built & launched. Even if you are not a history buff you will enjoy the idillyc setting. About 17 mins away. Lovely house, very welcoming, very quiet and relaxing, we could not fault anything. Food intolerances catered for, just a short drive into Lymington and the ferry to Isle of Wight. I was on my own but felt very much at home. Lovely to chat to Leise at breakfast. So much to see and do. New Forest, ferry trip to IOW, Hythe ferry to Southampton. For restaurants see the list of suggestions in room. Lovely house and comfortable accommodation. Staff very helpful and friendly. Room was clean and comfortable. Bathroom very clean. Close to town and easy parking. King's Head pub provides good food and large servings. Very comfortable stay. Friendly and welcoming. Lovely breakfast. Great location for Isle of Wight ferry and New Forest. Excellent parking facilities. Need to look carefully for the turn off the main road; it is exactly on the sharp bend in the road. Be aware that there is a short section of road with no footpath on the approach. Their wasn’t much staff around and wasn’t too sure how to get in contact with a staff member if needed. However the house/hotel was absolutely gorgeous. The food was yummy, rooms were immaculate and homely. The little toiletries pot in the bathroom shocked my partner as we had never had the little extras just in case. The view was spectacular and the stay was very enjoyable. Will most definitely stay again. The price for the room and service over all was perfect. The pub around the corner was amazing and the food gorgeous. It’s close to the main town of lymington however still far away enough to have your own space and peace and quiet. Already recommended Leyland Country House to friends and family. In fact raving about it. Beat B&B we have stayed in. Just wish we could move in actually!!! It is a lovely house in a superb setting. The food was great and there was lots of it! We were looked after very well too. A great market is held every Saturday in the high street. The ferry to the Isle of Wight is really close by. Very warm welcome and comfortable stay. A level above a B&B. Varied menu for breakfast, cooked fresh and well presented. Very friendly staff. Excellent room, spotless and spacious. Very nice location. Would recommend to family and friends visiting the area. Only stayed one night prior to crossing to Isle of Wight but local information was great for eating out locally on the night. Would love to visit the local pubs and restaurants again. Made to feel very welcome and nothing is to much trouble. Close to all types of restaurants and you are spoilt for choice. Very warm welcome, at a lovely location.Beautiful room and comfortable bed. Nothing to much trouble. If walking back from Lymington at night be aware no footpath for a small piece of the walk on a busy road. Now the evenings are drawing in a torch may be required.Ideal location for trip over to IoW on Ferry. We enjoyed our stay at the Leyland Country House very much. We had a very warm welcome from Liese and her staff. The house and our Gold room was just perfect and we didn't miss anything, which would make it not a perfect stay. The Ferryman Pub is very close and you get a 10% discount when you stay at the LCH. Walhampton Arms serves a very good buffet always on Monday for a very good price. Absolutely lovely and comfortable accommodation, delicious breakfasts and a wonderful host. 100% recommendation. Nice gold room at front of house with tea, coffee, biccys, water in room. Great choice of breakfasts for veggies. Bed a bit small. Some noise from room above on one night. Lovely friendly service. Overall a great place to stay. A great area for bird watchers along the marshes towards Keyhaven. Visit the seafood festival in early August and if it rains take refuge in the sparkling wine tent! Best restaurant visited was Fishermans rest pub in Lymington. Road to town a bit busy and no pavement if walking. Such a lovely house to stay in. Staff and owner really friendly and accommodating and lots of little extra touches in the room that make it really special. Immaculately clean and breakfast was lovely. The Boathouse at Christchurch is lovely and such a great location looking out on the harbour. Food reasonably priced, The Wolhampton within walking distance did a good carvery for £7!. Finally we had an afternoon tea at the Hotel de vin in Poole and it was exceptional. Lymington itself we had a great coffee right on the harbour front can’t remember the name but it was a Coffee shop not a tea shop! In the city center a big street with shops and restaurants and at the end the church. At the nearby port also some restaurants, shops and bars. Friendly staff. After arriving and letting myself into room I was visited to make sure all was alright. Breakfast cooked individually not in bulk. Would def stay there again if I am in that area. Wonderful place to stay, only a short walk into town. Breakfast amazing with a really good choice. Rooms very comfortable with an exceptionally clean bathroom. Great location, great staff nothing was too much trouble. Friendly and relaxing, will be back! We received a warm welcome. We were in the Barn consisting of a kitchen/sitting area with a separate bedroom and bathroom. Excellent breakfast. We booked via booking.com. Other hotels were insistent on booking for two nights when we only needed one. No other tips as we were there for a party. Once again we had a very nice stay with you. Plenty to do and see and even a ferry ride across to Yarmouth. Lovely peaceful location within short walk of town. Excellent clean room with a good breakfast and friendly efficient staff. Several resteraunts and pubs close by which are very good. We found some a little further afield on our way home which looked very nice, have a look at those outside the immediate area. very difficult to find something wrong with my stay. will definitely be staying here again. We stayed in The Barn with allocated parking space and upon arrival, it was the small things that mattered, with a sign welcoming us to the property, key on the table all ready for us to enjoy our weekend. The Barn was clean, everything taken into account, including a timetable for the IOW Ferry, great. Liese is most welcoming, making sure you are happy and if anything more is needed, lovely. Well worth having the breakfast, everything cooked to order, no matter what your preference, I recommend staying here and hope to come back again. The New Forest is central to most towns, Southampton half an hour away, Weymouth 1 1/2, IOW Ferry on the doorstep for a day trip or a 10 minute drive and you are in the heart of the Forest for taking time out to walk and being at one with the nature. Very pleasant room and the location was lovely. Facilities and food were great and the staff were very friendly and helpful. We will definitely be returning. Great situation for a pleasant walk into the town where there are numerous establishments where you can get good food at reasonable prices. Very close to the river with lovely walks and easy access to the Isle of Wight ferry. Quiet location 10/12 mins walk to Lymington, Plenty of parking. A very-well run B & B With attention to small details, good Toiletries, bathrobes etc. Coffee, tea And biscuits in room, Good choice of breakfasts and lady Owner welcoming and staff very friendly. We found two restaurants to eat at, The Shipyard a short walk away from The Quay side, good and friendly Service with a choice of super fresh Fish. And The Fleur De Leys, at Pilley Hill, fantastic old pub with Warm and welcoming service and Generous portions of superb food. Quiet location. Able to walk into town. Great host, made to feel very welcome. If you are over 6ft tall request a room on the first floor. Lovely guest house on the edge of the New Forest. Perfect location for the New Forest and Isle of Wight ferry. Great tea and coffee making facilities in the rooms. Great choice for breakfast. Our room was on the second floor which isn’t so good for older people or those with sore knees! We had a lovely stay for a couple of nights as it was my husbands birthday . Pick up details from the information centre in Lyndhurst. In particular the bus route which shows the routes to go in by car , 3 different routes which we followed on 3 consecutive days which meant we were able to see each little town and village within the New a Forest . Recommend this accommodation. Very comfortable stay and fab breakfast with lots of choice and good service. Lovely walks nearby and walking distance of Lymington town. Liese and staff very accommodating and helpful. Excellent staff who make you feel so welcome and are a credit to the hotel. Really good place to stay for visiting the New Forest. La Quilla indian restuarent is super. We were particularly grateful for being up-graded to a room with a bigger bed and more space. At 8 months pregnant, it made a big difference to have room. We also liked the little touches, like water bottles in our room, a selection of teas and the soft blankets on the bed. Breakfast was really tasty, with a good range of options, not just full English. I thoroughly enjoyed both my pancakes and the smoked salmon. Thank you. Very tasty Thai on the high street and The Pig was great for a special occasion (both for eating and sitting on their sofas). I had a lovely stay and you were really helpful with directions to the hospital. Breakfast was really good with everything therefor everyones taste. I will definitely stay again. Excellent staff. Set in a peaceful location yet only a 10 minute walk into town. Superb breakfast. Enjoy your breakfast then get out into nature. After a walk in the New Forest choose any of the pubs or restaurants in town and I doubt you would be disappointed with any of the food on offer. Clean and well-presented country house, very generous array of essentials provided if needed. Room was comfortable with plenty of natural light from the sky lights. Overall very pleasant stay, many thanks. Went to the Red Lion in Boldre with some friends, great traditional pub and great food, highly recommend! Home from home experience with space and privacy. very close to Lymington just perfect place!! Beautiful church and stunning beach at Milford on Sea!! lots of great walks and plenty varied places to eat...definitely be back soon. top marks because the whole experience was faultless. plenty to see and do within the area even with inclement weather. would recommend trying the Fishermans Rest, a little out of the centre of Lymmington but certainly worth the walk or taxi. Contemporary, stylish, welcoming and very friendly B&B, with a breakfast to match! Fantastic facilities in the room, including coffee machine and bottled water. Great bathroom and powerful shower, with complimentary bath robes, slippers and a range of toiletries. Very friendly staff, for whom nothing was too much trouble. Will definitely come back again! Easy walking distance to Lymington and the train station. Easy drive to all main attractions in the New Forest. Fantastic staff and accommodation. Really enjoyed our stay and would definitely stay again. Will be recommending to others wishing to stay in the area. Our host was very welcoming and friendly, the accommodation very comfortable and well appointed and the breakfast first rate. Thank you! A little out of the town. Takes about 15 minutes to walk into town centre, part of which is along a busy road with no pavement. That aside, everything else was perfect. We both loved our stay, immaculate rooms, really friendly staff/owner. Will definitely come again during more summery climes in order to take full advantage of the the lovely location and views. Only down point for me was lack of back pudding on the breakfast menu (I love black pudding), am willing to overlook that as was a thoroughly enjoyable stay! If you like Thai food, you should definitely check out the Thai Tapas place on the high street, really tasty, authentic and generous portions, I would revisit Lymington for this reason alone. Check out the Thomas Tripp for where the locals hang out. Walk along the Salternes was lovely too, even in the drizzle, topped off nicely by a couple of pints in the Mayflower on the way back. We so enjoyed our stay at Leyland House for its warm and friendly atmosphere, excellent accommodation and service and delicious breakfast! Leyland House is within walking distance to Lymington with excellent restaurants and pubs. We particularly enjoyed the food at The Kings Head in the heart of Lymington, and also The Haven close to the Marina. A short boat trip will take you to the Isle of Wight. We loved exploring the Forest with its many historic sites and country houses. Walking or driving through The Forest itself is pure joy! Would highly recommend Leyland Country House, so lovely and clean and tidy and nothing was too much trouble. The breakfast was the best I have had in ages. WE could not have been looked after any better. The Ferryman Pub provided excellent food and a changing menu; the service was that of a high class London hotel. If like us you are looking for genuine hospitality , staff that are warm and welcoming, a freshly cooked breakfast at a time of your choosing, a room that is beautifully presented with everything you could think of provided and be surrounded by the stunning New Forest national park, Leyland Country House is not just a b & b it is THE place to be if visiting the area. Had a wonderful three night break, thank you. Very convenient for what we wanted to do. Nice friendly atmosphere and good breakfast. Beautiful house in a fantastic location, pretty New Forest scenery and very quiet. Room was great with everything you could need provided, just in case. Breakfast had every option covered and was superb and the owner and staff were lovely and can't do enough for you. I'll be staying again when next down that way! I tend to stay in the large corporate accommodation venues as have been caught out too many times in the past with poorly quality rooms... but this place is different. Very nice accommodation, well priced, very clean, quiet with everything being well thought out . I would definitely stay here again, and located minutes from the ferry terminal. A lot of thought has gone into creating these rooms. Thank you for looking after us so well on our 3 night stay,comfy bed , great shower and lovely breakfast. If your walking back to leyland country house in the dark a torch would be handy. The walks recommended were very enjoyable. Lovely staff, lovely room and delicious breakfast! Very friendly and helpful staff,great room,excellent breakfasts. I stayed at Leyland Country House for three nights in October 2017. Not only was this a great time of year as the weather was glorious on the coast but also I felt nurtured and relaxed in a beautiful B&B. I was in the Barn, my own private heaven! Very clean, well equipped, quiet and warm with an exceptionally comfortable bed. Liese has created a top place to stay with lovely gardens and atmosphere. The breakfasts were fabulous, nothing was too much trouble and Liese and Donna were only to pleased to help with anything. The location was great for me, surrounded by countryside but close enough to walk into town and beyond. I highly recommend Leyland House, I could have stayed much longer...perhaps I will be back! A lovely clean well presented accommodation.An excellent breakfast choice. Very friendly staff. Ideal location.Will seriously consider staying here again when visiting the area. It would be helpful to make sure the front door bell works as although we pressed it it wasnt hard enough. Also a larger TV in the bedroom would have been better. Verry friendly and perfect Service from Liese and their hole Team! Lymington main street is only 10 min away. Very warm welcome. Attention to detail. Good understanding of 'life'!! When visiting Milford on Sea, drive to the top car park rather than the one at the bottom of the village. Less crowded but still an easy walk back to the main car park where there is a larger café if required. Bring a small torch if planning to walk back from Lymington after dark as short stretch of main road does not have a footpath. Had a lovely time thank you. Love the relaxed and warm welcome you gave. My boyfriend was unsure of staying in a b and b but his views have changed completely, he loved it and said it was better than a hotel! The Indian restaurant you recommended was fantastic! Great that u came back to us with suggestion after we had given up looking for accommodation that week! We had a lovely stay. Very comfortable .excellent breakfasts with individual choices. Staff friendly and welcoming. We would come again. Thank you. Varied pubs and restaurants. We had a lovely meal at the Ferryman. Ferry to Isle of Wight very close and efficient. Would use this crossing again. Beautiful Guest House with lovely staff, nothing too much trouble. Ab-Fab Stay. Great staff, spotlessly clean throughout and the most excellent full English breakfast!! Very friendly welcome and eagerness to ensure we were comfortable. Very accommodating in meeting our dietary needs. 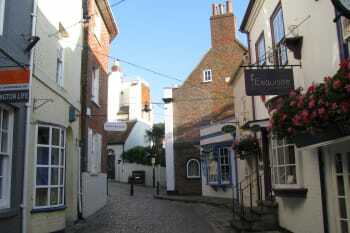 Lymington is a nice old town to wander around and as a base from which to explore the New Forest. They should have won the channel 4 programme three in a bed. Its gorgeous and we will definitely be back. A lovely house to stay in everyone was very welcoming and the breakfasts were scrumptious. We would certainly think about staying again. We visited 2 of the restaurants which were recommended and they were both excellent. Fantastic staff,nothing too much trouble without being too intrusive. Good shopping in Lymington. Easy to visit I.O.W with or without car via ferry. Nice seasides close by. Good Saturday market.Excellent eating places everywhere for all budgets. If you advertise bed and breakfast, breakfast should be included in the price! Not a extra charge of £15.00 per person! You are only offering room only for the price quoted. We found a lovely pub/restaurant/accommodation in a very close village called East End. The pub recommended wasn't open on Mondays or Tuesday's which were the nights we stayed. Very laid back owner who is very helpful and friendly.Lovely property and grounds. We left the car and walked into town both evenings as it only takes 15 min max.Take a small torch if you are returning in failing light as a small distance is either on the side of the road or on the small country lane leading up to Leyland House.Plenty of reasonable places to eat. Leyland House was a wonderful place,quiet and restful.The decor and cleanilness were a joy.The owner made us most welcome. The Ferryman pub was within walking distance for a nice evening meal and to walk to the town was except able. Really nice and good value, thanke you very much. Ask the owner, she knows all the best places. Lovely place. Really enjoyed our stay and would certainly recommend to anyone. A wonderful welcome on Sunday afternoon after we had had a bad experience at another B&B. Immaculate accommodation with everything in the room that one could possibly require. I would recommend Leyland Country House to anyone and we will certainly be back. Well done to all the staff. So much to do in the Forest,many activities for both young and old. The Indian Restaurant Indian Fusion at the bottom end of the town is a must with the most amazing food and service. Beautifully appointed rooms, with lots of little luxuries. The very helpful and knowledgable owner recommended local restaurants and places of interest. Although it rained while we were there, this did not detract from a relaxing and very enjoyable two-night stay. A well run friendly B&B which does its best to meet the needs of its customers. The accommodation was very good. Clean and comfortable. The staff were very friendly and helpful. The breakfast menu was extensive and the food was most enjoyable. Leyland House is a lovely home with comfortable rooms, breakfast was first class, overall excellent value for money. Only word to describe Liese & her staff - delightful! A trip to the cobbles and quay a must - pop into the Boat House cafe on the quay - we both agreed it was the best coffee we've had in a long time & the Crab sandwiches - scrummy! A lovely peaceful setting. great accomodation. Loved the big bed. The staff were very helpful and friendly, couldn't have wished for anything better. loved it and will definatly visit again and recommend to everyone. There are many things to do in the area. great restaurants, lovely beaches and walks. We took a boat trip around the harbour,slow and relaxing fun for the grandchildren. Very friendly and informative hostess and team. Exactly as advertised. Lovely place to finish our road trip. The guesthouse had very good parking, eventhough it was in the countryside it was still conveniently a 15 minute walk to Lymington High Street. The Gold room was clean and well equipped; the separate private bathroom was very spacious and nicely fitted. I loved the blend of beach theme and spots of Artdeco. Staff were very helpful and caring, nothing was too much trouble for them. Breakfast was beautiful everyday even when they were busy; me and my partner have a range of allergies between us and they catered for us both with ease. Over all a very relaxed stay. Some interesting things: you can request a self check in; you can also get a faster breakfast if you complete the breakfast form (available by the front door). 1. Only a 15 minute walk to Lymington High Street. 2. Being out of town you have a quicker get away to many destinations. 3. Bring a torch if walking to Lymington at night as the road is unlit. 4. We sampled the "Angel and Blue Pig" hotel and restaurant; very nice food and welcoming staff. The "Lal Quilla Indian Restaurant" was also very pleasant with amazing service, beautiful foods and excellent value for money. The only minor disappointment was breakfast which didn't live up to its description. E.g. No fresh fruit, and buffet part disappointing. However there was endless good coffee and cooked breakfast was excellent. We look forward to returning soon. Leise and staff made us feel very welcome, beginning with accommodating our late arrival and check in. The house is located close to the nearby town centre yet secluded in a more rural setting, and within easy reach of everything in the New Forest or alternatively the coast. We ate in the East End Arms, which is a local pub 10 minutes drive away from the house, on our first night and then The Jetty in Mudeford for an expensive treat. Excellent stay. Liese and her staff very friendly and accommodated our late arrival after an evening football game. Highly recommended! Delighted on arrival and reception received. Excellent first morning breakfast but less so then on second morning, particularly the experience. Fleur de Lys restaurant well worth a visit. Ferryman Pub also good. Beaulieu was lovely and has a nice garden centre. Beautiful rooms lovely staff had a fab time!! 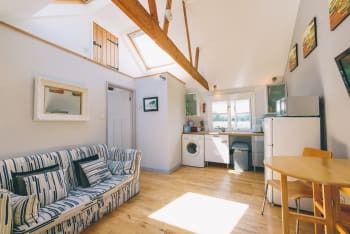 We stayed in 'The Barn' : two rooms - bedroom and kitchen/living-room equipped with fridge, microwave, small induction cooker, washing machine, coffee-maker & kettle. TV in both rooms. Modern bathroom with shower (no bath). all very neat and tidy and cosy. The main house 10 yards away provided a really nice cooked breakfast and/or choice of cereals etc, in the large breakfast room which I think could seat 12 people. All set in grassy fields a few hundred yards from the main road, so very quiet. Occasionally you could hear the train and the Isle of Wight Ferry (it was foggy). Lovely friendly staff. Would definitely stay there again. Everything was excellent. 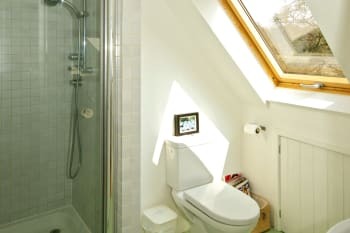 Minor critique, I was in the 'pink room' in the attic room, it was beautifully appointed but the sink in the ensuite was tiny... rather difficult to shave in! We had booked the White room. From the moment we arrived we were made to feel so welcome by Liese,the owner. After a very good nights sleep in a most comfortable bed the breakfast was first class. Everything one could have asked for. Expertly cooked by Donna and served by Jackie on our first day and Liese on our second morning. What a gem to have found. We will return next time we are in the New Forest. Liese recommended the Ferrryman for an evenning meal. So glad she did. Al la carte restaurant food served in a local pub 10 minnutes walk away. Very friendly welcome. Helpful, especially with regard to changing room due to my limited mobility. Room comfortable. Breakfast excellent. Lymington town centre is just lovely to walk round! Definitely recommend The Ferryman to eat in! The dinner was just fantastic, and within walking distance! Really nice B&B.Super rooms with lovely views and superb breakfast.Host was very accomodating. Ideally situated and within walking distance of town centre and IOW ferry.Couple of miles down the road and you are in the centre of New Forest. Lovely location, beautiful house and well looked after. Dining room too cold. Radiator turned off and staff not noticed. Choice of food at breakfast - good. See the many local guides. A beautiful location! Room was very comfortable and spacious! Staff were excellent and went beyond the call of duty - thank you ladies Donna & Liberty. Breakfast was excellent - only criticism found breakfast room a bit on the cold side. Really enjoyed our stay thank you. Roy & Di For Liberty The David Sheldrick Wildlife Trust in Nairobi Kenya! A short drive from the town centre where there are plenty of good restaurants to choose from . Lovely part of the world . only issue is the lack of ensuit, though I did have a private bathroom, just had to walk down the hall to access it. the staff were fantastic couldn't have been more helpful. and the breakfast was Awesome! Lisa is a wonderful host. She made sure were happy. We stayed in The Cottage, very peaceful and relaxing. Will certainly stay there again. The Fisherman's Rest. Gorgeous food, wonderful atmosphere. A beautiful home surrounded by breathtaking scenery. Ideally located only a 10 minute walk from the town centre this is the perfect place to stay for a quiet weekend away. Koh Thai Tapas is a fantastic Thai restaurant to try if you are looking for a tasty meal out with a large cocktail menu to choose from! Lovely quiet location and easy to find. Breakfast was nice and bed comfortable enough. Even though it was 2 single beds pushed together. Very relaxed feeling to checking in and out. No hassle atall. Very laid back. Such a chilled weekend away. Lymington market on saturdays is nice to visit and stall holders are friendly. Not far atall to walk to. Stanwell house on the high street do a nice cream tea and you can get some lovely fish and chips and sit down by the water. Great stay with a friendly staff and an excellent breakfast. Great attention to detail in the room. Little extras that were very well appreciated. Bottled water, tissues, tea & coffee making facilities & robes. An easy walk into town during daylight hours but need to drive at night due to the unlit lanes without pavements. Lovely place to stay, the staff were very friendly and breakfast was perfect. Ask Liese, she will be able to give directions around what's good around town. If you have a car, get to New Forest for a short walk. It's really refreshing. Excellent service, spotlessly clean room, great location, and beautifully peaceful and calm. We really enjoyed our stay and would definitely recommend it to anyone. Very friendly and welcoming owners and staff. Very clean accommodation, fresh bed linen and comfortable bed. Good breakfast - great idea to order the night before on slips provided. Very close to Lymington town centre with all that has to offer with plenty of shops, pubs, restaurants, quayside and marinas. Walking distance for those who are used to a good walk! The Kings Head pub Lymington - great food, Cask Marque beers, reasonable prices, minutes from accommodation. Excellent quiet surroundings easy access to town and harbour. We stayed in the white room which was very nice and large with a great bathroom. Owner very friendly and accommodating. Good breakfast. Because it's an old house the creaking floors and doors shutting can seem a little noisy at night/early morning. Nice meal in The Ship by the quay down a lovely little cobbled street. 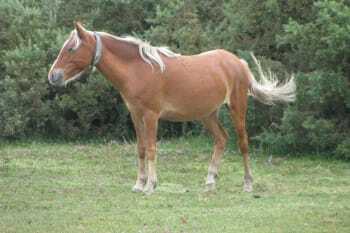 Head into the forest for a walk and see the ponies. A lovely stay in a gorgeous country house. The host and staff were friendly, polite and extremely helpful. We could not have asked for anything more. Many thanks. we loved the combination of friendly informality with a clear understanding of what a guest might want in a room/bathroom. well equipped. Beautiful situation - in itslef with garden and fields around, and within easy walking distance of central Lymington. (especially walking over the bridge and seeing the beautiful landscape with reed-beds on the right.) very good breakfast too. Our thanks. As above - walk into Lymington and linger on the bridge looking to your right. Fabulous view with reed beds. enjoyed the saturday morning market up the hight street, and then coffee down by the old harbour. This was an excellent place to stay, its within walking distance of Lymington, but just outside so we saw much wildlife from the window. The staff were friendly and accommodating, and Liese is a mind of information, which is great when wanting to know about the local area. The room and bed were comfortable and the full english cooked by Liese was a great start to the day. Will be happy to return. Great meal in Kings Head. Nice relaxed drinks in the Ship Inn. Very friendly and lovely quiet location with loads of fine dining near by! Be aware that access on foot at night is very tricky. The road from Lymington becomes unlit at a certain point and there is no footpath to protect you from the fast-moving traffic traffic. Then the lane leading to Leyland is also unlit (as is the entrance to Leyland itself). Explore the New Forrest and local town. Liese and her staff were warm, friendly and welcoming. they were keen to make our stay as smooth as possible. The bedroom and bathroom were well appointed and spotless. all details had been considered for the traveller, and the breakfast set us up for the day! Location of Leyland house was perfect. 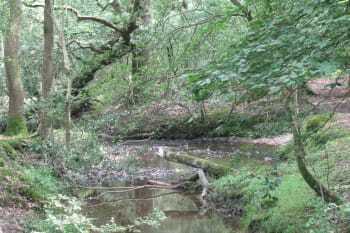 near to local restaurants and public houses, beautiful walks and scenery. We had a very enjoyable stay at Leyland Country House and would certainly stay there again. Liese and her staff were very helpful and nothing was too much trouble for them. We stayed in the Purple room which overlooked the large peaceful front garden. The room itself is very tastefully decorated, bright and comfortable. 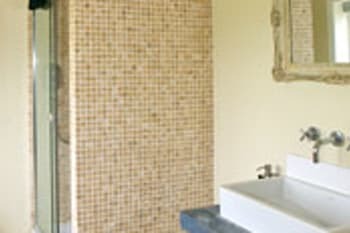 There is also a very spacious en-suite bathroom with good quality towels and a good powered shower. We enjoyed taking trips on the sight seeing buses, we found them very informative and good value for money. There are three different routes, blue, red and green each showing you different parts of the area. There are quite a few different places to eat but, some of them we found to be a bit expensive for what they are. The only recommendation I have is to have 2 pillows per person. Quiet and relaxing setting , lovely friendly staff and an excellent breakfast . we would most definitely stay here again. We are familiar with the area but we always find something or somewhere new to explore. this visit we drove through ornamental drive to Boldrewood C.P so very pretty . Excellent rapport with customers. Felt like meeting a very old and special friend! The reason for the 4 above was that we were surprised to find that our personal bathroom (excellent though it was!) was not en suite, so it meant a trip next door which felt a bit funny - although we never met a soul on the wY. Lymington is a great place to visit with some interesting shops and a very large and decent Saturday market running the length of the High Street. IOW ferry near by which would be handy for those wanting to pay a visit there .... And of course the New Forest on the doorstep. We will return as there is masses to. Do! Liese made us feel very welcome. The breakfast and facilities were excellent. The Angel and Blue Pig pub was excellent, food and service very good. Comfortable room with super King bed. Fantastic large shower with good facilities. Breakfast menu varied and cooked to order with good quality ingredients . Close to Lymington and put sailing venu. A little out of town but was a very quiet and pretty location. Excellent facilities and a friendly yet professional set up. Easy to walk into Lymington during the day, but need a taxi/car at night. Wander down to Lymington Marina and either get a fresh crab sandwich from the sandwich shop or treat yourself to a table at Shipyard fish market's bar and kitchen. Amazing fresh fish & great service We hired bikes to explore the new forest just jump on the train from Lymington up to brockenhurst (train 5 mins walk from Leyland & brockenhurst just one stop away). Great way to spend a day exploring. Excellent. Really enjoyed our stay. The barn was excellent and breakfast very good with plenty of assistance from friendly staff. My only small issue was the sofa which was more suited for a child e.g. So low impossible to sit comfortably. However the bed was one of the best yet. The Ship Inn has probably the best location in Lymington. Food is pretty good too. Very good location. Welcoming staff. Amazing accommodations. 10 min walk to the city centre. Main attraction 15 to 45 min drive. Used the house for a night stay before getting the ferry to the Isle of Wight. We were in the purple room. The house,the location was just what we were looking for. We did however get confused as to where our room was and nearly broke in to someone else's. Could you identify the room by putting something on the door. Breakfast was fine both days. However the lady who was cooking you can't fry veggie sausages you have to cook them in an oven. Google said Lymington was boring. We thought it was very pleasant. The people were helpful and the whole place was well worth a visit. We had lunch in the Buttery and it was excellent. There is a good ferry service to the Isle of White. Would we visit the hotel and town again. Yes we would. Very impressed with the manner in which our booking in time was made so flexible. Vey welcoming & hospitable, a pot of coffee and biscuits served on arrival. A fabulous house in a beautiful setting. A well cooked and presented breakfast with lots of choice. On our next visit we would request an en suite, oppossed too a separate shower room. Very welcoming and friendly. Good location for a short stroll into town. Sandra and I had a very relaxed weekend and found all the facilities excellent. The staff were very helpful, friendly and welcoming. The breakfast was really nice and was enough for us to leave eating again until the evening. Donna was very kind on the morning we left making us a cup of tea as we had a bit of a wait for our train. We visited Beaulieu and Exbury Gardens by the New Forest Tour Bus, both were very nice, We found the Red Lion pub and the Mayflower down by the Marina very good for dinner. We were impressed with excellent service and friendly staff. You just feel like coming to visit some friends in their nice home. Thanks for picking us up walking in the rain from dinner and take us by car to the hotel - this can only happened in this lovely friendly small place. Excellent dinner at Egans restaurant. Do not go to the pub called the Angel and the pig. Not disappointed in any way, got what it said on the tin!! We had a fabulous stay at Leyland Country House, on arrival we were welcomed with tea & coffee and were very impressed with the accommodation. Breakfast was very good and plenty of it. Would definitely return. A lovely guest house with beautiful, quiet, well decorated rooms with special little touches. A lovely cooked breakfast followed by a personal welcome and chat from the friendly landlady In the morning. We would highly recommend this accommodation to anyone. Hotel in a perfect location to explore the New Forest and Lymington town. We self catered in The Barn, and it was perfect for our needs with enough room to squeeze our 2 year old in the bedroom with us. Outside space, ample parking and cooking facilities all a bonus over similarly priced hotels. Great location, beautiful house and garden. Lovely modern decor, spacious and comfortable. Delicious full English breakfast. Highly recommended. New Forest ice cream is a must! For children, Longdown Activity Farm is good fun. The house was set in a lovely quiet location, but within easy walking distance to the town. The host was so approachable and very attentive. Nothing was too much trouble. The breakfast was perfect, plenty of choice. Coffee suburb. Served by a very friendly and happy member of staff. Plenty of places to eat, for lunch and dinner. Leyland Country House provided you with a free map of the area which was very comprehensive. It became our constant companion. Fabulous rooms and the best breakfast ever. Fabulous host who made us feel right at home, beautiful house with two nights of peaceful sleep and high quality, generous breakfasts. Thank you for having us, we've already recommended you to friends and Will definitely be back. What a gem of a B&B. Immediately on arrival, it was lovely to be greeted with a big smile and a heartfelt welcome. The purple room was spacious, airy and had a big, comfortable bed. The breakfast was perfectly cooked and cheerfully delivered. Country house living at it's best. Thank you for sharing. A very comfortable place to stay with very friendly staff. Well situated to see all the sights of the New Forest. Loved Lyimington, lots of good eateries. Very friendly and pleasant experience. Excellent breakfast. Liese made us Welcome on arrival with a much appreciated pot of tea, lovely. Exbury Gardens, we were a bit early for the full blooms but worth a visit. Also Beaulieu village and garden centre. A good walk from Beaulieu to Bucklers Hard with pub at the end. Thomas Trip in Lymington good for food and friendly staff could do with a decor make over. All great, lovely bedroom, owner and daughter very friendly and helpful. Breakfast lovely, plentiful and well cooked, but service let it down a little but minor thing, excellent overall. Every thing here from the staff to accommodation was 1st class. breakfast was excellent. only minor criticisms was the lack of hairdryer in room. Would have preferred instant coffee to machine coffee and there could have been more milk. The room itself was superb with lovely views. a wonderful experience with wonderful staff. Bed in the Pink room was really low which made it difficult for my heavily pregnant to get in and out of bed. Beautiful walks and lovely town that borders the New Forest. beautiful house in a fantastic location,lovely comfortable room. friendly helpful staff. really nice breakfast with plenty of choice. in short..a really great place to stay. thank you. would recommend the rivaaz restaurant in lymmington,lovely food, also the ship inn pub overlooking the quay,nice friendly pub that also does great food. and of course the new forest is amazing. I thought the hotel was very welcoming and we enjoyed our stay. 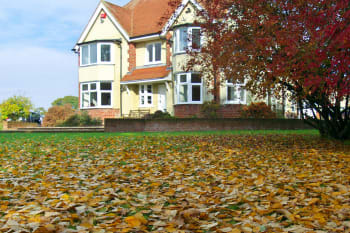 Leyland Country House was an ideal place for us to stay, close to the New Forest and not far to drive from Reading. The bedroom was large and comfortable with a large, clean and tidy shower room. Breakfasts were great, with a vast choice. It is peaceful, being surrounded by fields, but only 15 minutes easy walk from the centre of Lymington. Beautiful walks in the New Forest are only 10 minutes drive away. Liese, the owner, was so helpful and friendly. Lymington is a super little town. It has a wide range of restaurants and shops and is an ideal place from which to drive into the New Forest or along the Hampshire and Dorset coast. Couldn't have asked for a more welcoming and lovely place. Gorgeous little touches here and there make it a very special place. Room was lovely, staff were very friendly and attentive. Very pleasant and relaxing stay for a weekend. The coastal walk is a definite must to do as well as dinner at the Mill. Very helpful and friendly owner who served a lovely breakfast and provided welcome hot drink on arrival. Very quiet location and good parking. Nothing negative to say at all, our only suggestion would be that larger bath towels would be good - we are used to bath sheet size. Otherwise all perfect. We would recommend Leyland Country House. We had dinner the first night at the King's Head where the food was very good. Second night we tried The Elderflower and it was fabulous. If you are looking for a fine dining experience with imaginative and beautifully presented dishes which taste great, this is one to try. Not cheap but worth it. 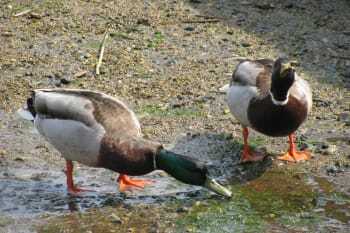 The New Forest Wildlife Centre is interesting to visit and lovely walks etc too. Not far from Portsmouth Naval Dockyard museum a most interesting day spent here. Discount if booked on line. Also easy to get to the Isle of Wight as so near the ferry terminal. Nice Welcome, Friendly attentive staff, felt at home which made the stay very relaxing. Things for everybody. Nice shops Lots of nature walks with plenty of wild life especially good for bird watching. Good mix of pubs, bistros & restaurants. Good transport links other then using the car. Thank you for the friendly nature. The Walhampton Carvery is an excellent place to eat. Really lovely place and everyone was very friendly. The location is great if you have a car. We did not, and it was a bit dangerous going out after dark. we had a very enjoyable stay, everything about the room and facilities was excellent. we were very well looked after, will stay there again. The Red Lion Pub and the Fleur De Lys are two wonderful places to eat in the evening. Along Lymington high street are 2 very nice ice cream parlours and if you walk along the cobble street there is a super cake shop. Staff were all really friendly and helpful. Breakfasts were fantastic. Everywhere kept very clean and tidy. Nice comfy rooms. Great location as a base to travel tonither areas in or around the New Forest. The Ship Inn was really nice for a meal. Less than a 10 minute walk. Beaulieu motor museum was a great day out too, but tip for this would be to plan at least a day ahead and book online to get a good saving! Charming host and all the oher staff are very friendly. Breafast is superb. The rooms are faultless and spotless. Would definitely stay here again. The Kings Head is a great place to eat good quality pub grub with generous portions and a warm atmosphere. Very close to the town centre and ferry terminal over to the Isle of Wight (yarmouth). Absolutely lovely stay, Liese is a fantastic host and was also very accommodating given that we arrived very late at night. Breakfast was amazing, all cooked to order, the room was very comfortable and quiet. Wonderful all round! lovely clean fresh modern interior,with very large bathroom,very nice breakfast room with good choice of breakfast cooked to order ,welcomed on arrival by Liese with tea and biscuits on the front patio and giving us information about places to eat etc. Visit Lymington Quay and the old town quaint shops in cobbled streets.The Mayflower near the marinas does very good sizzling steaks,the Fleur de lys ,lovely old world in Pilley does lovely meals more hote cuisine. Lovely place, friendly and amazing breakfast. An Excellent stay thanks . Beautiful house in lovely quiet location. Staff were all very friendly and helpful and nothing too much trouble. Would definitely recommend and hope to visit again. We like to meet you again an other Time. Marianne and Jaap de Koning. Very friendly and really cool place. Have been recommending you to all our friends and colleagues at work. Hi Liese, sorry did not get to say goodbye, thanks for making us feel so welcome. PS did you find a pair of green sunglasses by any chance? Great location to cover a large part of New Forrest. Lovely town with loads of shops and restaurants and great harbour. Only 30mins from the Isle of White by boat trip. great guest house friendly staff nice and welcoming excellent thank you. Lovely location. Really easy for travel to Isle of Wight. Beautiful room and amazingly friendly welcome plus a chocolate treat! Wonderful choice at breakfast beautifully presented.very special place to stay. Give yourself plenty of time to enjoy your stay and explore this lovely area too! Leyland Country House is a beautiful house with well appointed rooms. We were very fortunate to have been upgraded to the Purple room which was a lovely surprise. The room was light and airy and looked onto the beautiful garden. This property allows you to feel like you are in a country location but still within 15 mins walk into Lymington. We loved it and will be back! Egan's restaurant was really good but you need to book well in advance. The ferry trips across to the Isle of Wight are also a must. Very enjoyable stay. Could not fault the hotel. The staff were very friendly and helpful. The room (We were in the White Room) was very clean and comfortable. The breakfast choice and quality was excellent. We had an enjoyable 2 days in Lymington and this was a lovely base. The bedroom and bathroom were really well equipped and the breakfast was really good. We thought it would be a good idea to have some background music at breakfast as people do not know each other so tend to whisper! Very quiet peaceful location just 10 minutes walk in to Lymington.We bought a torch with us which was handy for walking back in the dark after 2 lovely meals we had at 'Lane's and at 'La Vina' tapas bar. Both served delicious food and had very pleasant staff. Would recommend Leyland Country House and would happily stay there again. Lovely stay with lovely owners. The hotel was happy to work around our needs as we were going to be attending a wedding nearby. Location is great, only a 10-15 minute walk to the high street. Rooms are well maintained and the house is simply lovely, could not have picked a better place/location to stay, we will definitely choose Leyland Country House again! Warm friendly welcome. Comfortable room. Excellent breakfast. Both Liese and Wendy were wonderful and made us feel completely looked after. Highly recommended. Curious Arts Festival in July is a must see event! Liese and Wendy were the perfect hosts. The room was spacious and spotlessly clean. The ensuite shower room was also very spacious with all modern facilities excellent shower. Heated shower rail was an excellent idea. Hot water was plentiful at any time of day. Breakfast was delicious and the choice was excellent as was the service.Leyland Country House is situated within easy walking distance of Lymington allowing you to leave the car behind. Excellent throughout too much to list. Lots of things to do whatever your age or interests. Ask Liese about the area she is very knowledgeable and helpful. Leyland Country House is simply beautiful and Liese & her team go out of their way to make you feel welcome. 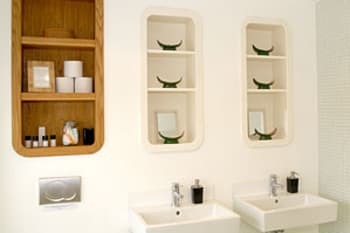 The breakfasts are delicious and the rooms are so well equipped with extras (posh coffee machine, bottle opener, even emergency sanitary products) that it's clear every effort has been made to ensure you enjoy your stay. There are even torches available to help you find your way down the dark road leading up to the house at the end of the night. I can't recommend Leyland House highly enough. We ate at Lanes of Lymington and found both the food and the service to be out of this world. The sea bass was to die for and the staff couldn't do more for us. Also, be sure to check out local artist Stephen Lees (down by the harbour) - his contemporary oil paintings are beautiful. Recommend eating at the Red Lion at Boldre and the Kings Head in Lymington. Helpful, efficient, thoughtful in upgrading. Thank you for amemorable stay. Lions Head pub food, beautiful location. Reserving best seats near window recommended. Pink room not suitable for elderly or infirm guests. 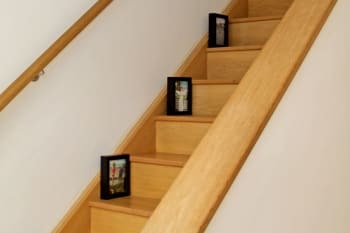 Up two flights of stairs. Very low bed and heavy fire door between bedroom and bathroom. Lanes restaurant, Lymington VG and Red Lion, Boldre both good for Coeliac guests. A very pleasant stay which was well needed before the new arrival. Leyland Country House has been nicely decorated with simple but effective touches. The room was lovely if a little warm (not surprising as it was in the loft) and the only downside was not having an ensuite, however the bathroom was very near. Really good place to stay. Friendly welcome, beautiful accommodation and those extras which make a stay perfect! Chocs as a treat in the room and plenty of extras to make your stay special. Breakfast choice amazing - all freshly prepared and tastefully served. Nothing lacking! Very convenient for Lymington to Yarmouth ferry. 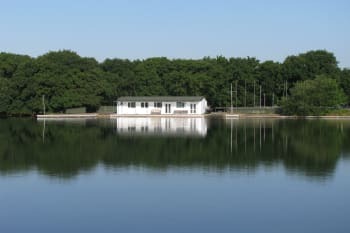 Note for most of the year the last ferry to Yarmouth is around 9pm so Leyland House is perfect if you want to stay over on the mainland for longer or discover the New Forest. Appreciated early entry with post it notes on door welcoming us. White room is beautiful. Grounds lovely. Great breakfast. Elderflower Restaurant by the Marina was pricey but outstanding food. Lovely room and bathroom. One small comment, bathroom despite being very large, was short of storage and lay-off space for toiletries, contact lens fluids etc. Lovely town, good walks along shore in either direction. Very good, very clean. Lady in charge friendly and her hospitality exceptional. Spotlessly clean, cofortable bed, exceptionally friendly and helpful reception! Some noise from nearby road. Thank you for a lovely 3 night break at Leyland House. We were made to feel very welcome by Wendy who we saw upon arrival and who made us a most welcome cup of tea. Our room was lovely and so comfortable and clean. The Breakfast was delicious and a very good selection to choose from, and the cooked breakfast was 'cooked to perfection'. We will definitely be back if staying in the area again. So peaceful. There is a good selection of Restaurants etc in Lymington. The Angel and Blue Pig was excellent as was The Six Bells. Beaulie Motor. Museum is worth a visit, and Bucklers Hard. My husband and I thoroughly enjoyed two nights at the Leyland Country House Lymington. We were welcomed by Liese who showed us our bedroom and private bathroom and served us two freshly brewed coffees with biscuits. The House is very well maintained and spotlessly clean. With bottles of spring water and chocolates on arrival. Breakfast was superb with a variety of cereals and a large bowl of fresh fruit salad which is one of the best I have tasted in a long time. The cooked breakfast was delicious and served on hot plates. Thank you Wendy. The Leyland is up a quiet lane close to Lymington Quay. We hope to return in the near future. Thank you Liese. Ate at the Pantry in the High street, The Waggon and Horses and the Mayflower which were all very good, with food cooked to order. Can recommend the Everton Garden Centre for afternoon tea. Wonderful property and stayed in the purple room-very clean room and bed wonderful and comfortable. Breakfast was good and staff friendly and helpful, a very relaxing stay indeed..
Egan restaurant locally was divine and certainly worth a visit. Road dark approaching B&B so a torch is a must(there are some small ones provided by the B&B beside the front door in a little basket) when coming home in the dark as no lights and road pitch black,so a little dangerous although road was not busy. Lovely place to stay. Good location - walk into town would be beautiful in summer time. Such a wonderful country house. Great location and excellent service. Thank you Leyland country house we will be back! I found the bed, though comfortable, very low - too low to sit on or put things on,and the mattress being INSIDE the frame meant I bumped myself a couple of times , especially getting out. But otherwise, you were so welcoming and helpful, especially when I was feeling so unwell in the morning. And I had a lovely chat with Saskia (is that right?) over tea! Thank you very much. Leyland Country House is a gem of a B & B. Very welcoming, relaxed atmosphere with a very comfy bed. Breakfast was excellant too, thank you. I should imagine during the summer also, it is a perfect place to stay for peace and quiet away from the town but close enough to get to easily. Take a torch with you if your arriving in the dark on foot! The Kings Head is a fantastic very cosy pub during the winter with a great open fire. Beautiful room superbly finished. All you need including a wonderful coffee machine. Superb hot roomy shower. Enormous bed very comfortable. Great breakfast. Only 5 minutes walk from town centre so no need to take the car. Our only criticism. A bit if music or a radio in the background would be nice during breakfast and we were a little cold with just one small radiator. Day out to the lovely Isle of Wight. Beaulieu is always good as there is always new things to do and see. 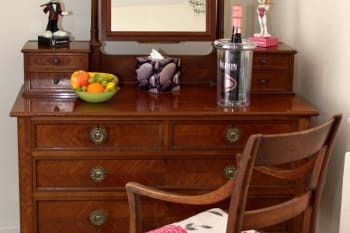 We found Leyland Country House on booking.com and I was glad to see that not only where the positive comments left on the site true but our stay actually surpassed our expectations. Liese was a fantastic host, there was a family feel and atmosphere. The room was surperb, well kept and clean. I would definitely come again and spend more than one night. I would highly recommend the Leyland Country House. 5 Star accommodation made even better by our wonderful hosts. Thank you for making our stay so memorable. See you soon! Would recommend The Haven restaurant at the marina and the Saturday market. We were made to feel very welcome. Excellent breakfast and attentive service. We would have preferred a headboard on our bed and not have to leave our room to use the bathroom. The bed room was a modest size (adequate) but the bathroom was massive (unnecessarily large) albeit well equipped with the exception of the lack of electric shaver socket. The Wagon an Horses does good food and is convenient. The Indian in town was excellent. We enjoyed a day trip as foot passengers to the IofW and used excellent local public transport to see the island. Very responsive to our needs, especially when we required extra sheets due to our unwell child. Very child friendly staff, Leise catered well for the little man. Next time, will probably choose the 2 bed cottage she has on offer. You can't stay in a beautiful place like this and not explore the New Forest! We very much enjoyed our stay. The room and bathroom were spotless. The bed was comfortable and the shower was good. Breakfast was delicious. The only minor criticisms would be that it was very difficult to fill the kettle in the small bathroom sink and most surface space in the room was filled. Lovely B&B, with very friendly and helpful owners. Only 10 minute walk to town centre. We thoroughly enjoyed our stay. We were made to feel very welcome. Immaculately clean, Very comfortable bed and the host was very attentive. Would definitely stay again. Lovely stay, excellent service. Would definitely recommend. Liese was great and her attention to detail and high standards make this a wonderful place to stay. Very friendly and helpful re resteraunts and things to do. Info about the area excellent. We had a lovely stay and would fully recommend it to others. Lovely house and ambience. I would suggest Egans Stanwell House and The Kings Head. Buleigh was great as was Butlers Hard, we also enjoyed Poole. Great setting, extremely clean. Leise was lovely, very welcoming, she has a great sense of style, loved the decor. Would recommend, thoroughly enjoyed our stay . Wonderful warm welcome. Room well equipped and lovely large bed. Really good breakfast. Lanes restaurant in Lymington, tuck away half way up the hill but food great and friendly service. Would have preferred 'en suite' but nevertheless we had a glorious stay and would not hesitate to recommend your B&B to the world at large. When we return we will probably ask for the cottage or an en suite. Pizza Express gave us good food with good service and after the kids had gone, and the noise abated, the ambience was good too. Our trip to Exbury - as recommended by Liese - was excellent. Our day trip to the IOW would have been more enjoyable if it had not rained. We really enjoyed our night in your house. All is lovely decorated and very clean. You were very helpful and friendly. Perhaps we see you again ! Lymington ist an nice town with many small shops. Lovely house. Beautiful Rooms. Very comfy bed! The Waggon and Horses up the road towards the ferry was excellent. Best pub food we have had for ages and a really friendly vibe. Also Lal Quilla Indian restaurant was very good and the food was very tasty. No path from Leyland House up to Bridge into town. Only a couple of minutes without path and not a busy road, but worth noting for the elderly or those with children. We had a wonderful couple of days staying at the Leyland Country House. Wendy was extremely welcoming and nothing was too much trouble. We thought that the room had been decorated/furnished beautifully and were able to really relax. We went to a fairly new restaurant called the Elderflower in Lymington which was outstanding! We both work in the catering industry and have eaten at quite a few top restaurants but both thought that the food and service was excellent. Please add it to your list in the rooms - it was really very good! A warm and friendly welcome to a very quiet location which is what we had hoped for. Clean, modern and interesting decor reminded us of some of the lovely individual boutique hotels we had experienced in South Africa. Would have preferred curtains or blackout blinds in bedroom as room was very light as soon as dawn broke. No decaff coffee in room. Bucklers Hard a must for location and interest. For good views of Solent drive down to Carsholt Castle. Red Lion pub recommended by Leyland House was excellent. Lovely room with large comfortable bed and excellent shower. Great host, very friendly and helpful with suggestions for days out. Easy walk into town, ample parking. Walk in to the ship inn, hire bikes and cycle in new forest. Walk to butlers hard. Great location for Beaulieu, Bucklers Hard and the New Forest. Great views from Milford-on-Sea. Barton-on-Sea also worth visiting. Very friendly and lovely place to stay. I can't recommend enough! A lovely house in a good location. Very quiet. Excellent quality in the large bedroom and bathroom. A very good breakfast which was well cooked and presented. Friendly staff and owner creating a welcoming atmosphere. We did enjoy our stay so much.. Such a wonderful place. Rooms lovely and very clean. Liese is such a nice person very helpful and friendly.And she made us a wonderfull brakfast. we will be back. We had dinner at The Haven...SUPER FANTASTIC. Also The Blue Pig in Lymington was very nice. Friendly welcome, comfortable and very helpful. A good breakfast and plenty of local information available. Room facilities excellent though another chair would have been useful as there was no lounge. Plenty of places to eat both in walking distance and in Lymington. We enjoyed our visit to Beaulieu (last time was more than 40 years ago!) and Exbury Gardens though they were expensive. Lymington is a good centre for the Forest and many other places. Nothing was too much trouble for Liese, any issues were resolved with a genuine smile. We had the honour of being looked after at breakfast by her charming daughter, who chose to help on her birthday.We stayed in the purple room which has amazing views. We would stay again. The best local food, we dined twice, was at the Wagon & Horses pub, only ten minutes walk. Take a torch for the walk back. Perfect week-end break! Will stay there again! Try la Churreria taps bar and restaurant for a great spanish experience! Lovely B&B in perfect (quiet) location - walk to the town. Breakfast was fab and owner was kind enough to cook us breakfast when we got up late & missed it! The pink room has a separate private bathroom next door - was given robes and didn't cause any issues. Plenty of parking, room and bathroom were clean and nicely decorated. Would stay again, would highly recommend! Pub: The Angel and Blue Pig - in the high street and Rivaaz Indian restaurant was amazing but you should book in advance!! Loved the Solent Way. Lymington town is quite cute and 5 minutes walk away. The Waggon pub is fabulous with amazing food and friendly service and a free pub quiz on a Tuesday. Would stay again if I was nearby. Lovely staff, excellent location and accommodation. Would highly recommend. My boyfriend and I found great local pubs in Lymington for food. We went horse riding nearby in Brockenhurst and cycled through the New Forest. We also took the ferry to Isle of Wight and walked along the coast. There is so much to do if you enjoy the outdoors. Everything absolutely perfect and Leisa was willing to cater to all needs readily. We had the purple room, very high quality of furnishings and attention to detail for price paid. Quality of breakfast extremely good including a peaceful view out of the breakfast room. Beautiful /peaceful location, approx 7min walk to nearest pub and another approx 15mins walk in to town- both serving good food and have open fires if you need to dry off as we did. Many thanks for a wonderful stay ! Leisa has lots of useful information if you stay on a friday/saturday. Due to weather recently- venture out before high tide due to some local flooding, which all added to the adventure and same in evening. 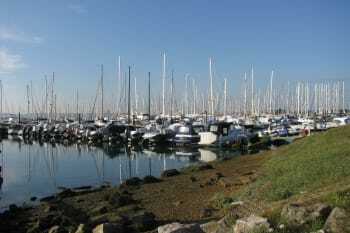 Some great informative walks at Beaulieu and Lymington marina. We loved our weekend. Only a very short walk into the town. Lots of places to eat and drink. We had a great Xmas meal at Wetherspoon's..but would have tried elsewhere if we were staying longer. Take a lovely walk around the quay at keyhaven! Well worth a visit. Enjoyed our one night stay.Extra large bed and very nice en suite shower room.Some noisy people on stairway later in the evening. Very good supper at the Waggon and Horses just 10 minutes walk away. Generally very happy with warm, family atmosphere and attention to detail. Room a little small; massive bathroom ... not ensuite. Noise travels quite easily on 1st and 2nd floor corridors. Old part of Lymington quite charming ... recommend 'Bluebird' restaurant. Beautiful views of IOW from Milford cliffs; Keyhaven ideal for bird watchers. More'typical' New Forest (horses, bracken etc) towards Beaulieu and further north. Lovely modern clean B&B, beautiful location. Bed a bit low to the ground but was comfortable. Our bathroom was across the hallway but only 2 steps! Breakfast very tasty with lovely local produce...would have been nice to have some mushrooms. Landlady very nice and helpful. It was a bit out of town, unless you are a quick walker it would take longer than 5 minutes to get to the high street. As we stayed on the windiest wettest day of the year we got a taxi which only cost £3 each way! Nice pub food at The Angel and Blue Pig. Very friendly. Couldn't fault it. The Waggon and Horses is a lovely pub serving great food that is minutes away from the Leyland Country House. The Lanes restaurant in Lymington serves excellent food with excellent service. Exbury House and Gardens.......beautiful. Well worth a visit. We were greeted with a warm welcome and a lovely cup of coffee/tea and biscuits. Your country house is beautiful and we will recommend you to anyone wishing to visit/stay in or around Lymington. We recommend The Waggon And Horses. Lovely food and very relaxing atmosphere. A small but really friendly place to stay. About 10 minute walk into the town though it is down a very dark lane but torches were available from the owner! Very clean and excellent breakfast! There are plenty of places to eat and drink in Lymington which is just a short walk away! A lovely sleepy and restful place to go! We've had a nice stay in Leyland Country House. The house is in a beautiful and peaceful location, yet it is only a 10 min walk to the city centre of Lymington, with lots of nice shops and restaurants. The breakfast was excellent (option for a vegetarian full English breakfast) and the staff was very friendly and helpfull. We've had a fantastic dinner in The Angel & Blue Pig, on the High Street in Lymington (http://angel-lymington.com/). Great atmosphere and great food! We also recommend restaurant Viño on the High Street in Lymington, a really good Spanish tapas restautant. Fantastic place with outstanding amenities, big rooms and friendly helpful staff. Very enjoyable stay, very friendly and would definitely stay there again. Immaculately presented and maintained. Spacious grounds. Perfect host. very friendly owner and room was lovely. We reccomend the purple room. Great pubs - Woolhampton Arms - Do a carvery on a Monday for a fiver, The Ship food lovely and we have perfect service, Sea walk from lymington to keyhaven we stopped at the gun, beaulieu motor museum, muddeford, Kings arms we enjoyed drinks here. Your attention to detail makes a stay at Leyland Country House a real pleasure; relaxing and restful. Thank you for making us feel so welcome. We hope to stay with you again. Very enjoyable stay in prime location for forest/coastal walks. Enjoyable walk into town also. Pink room very clean and comfortable but being rather on the tall side would not choose this room again however would not be put off with returning but would definitely opt for one of the other lovely rooms on offer. Trip to Beaulieu and a walk or cycle through the forest to Bucklers Hard, beautiful walk and charming little village. Leyland Country House is lovely in that it is secluded, quiet and surrounded by fields and trees. We spied rabbits and the odd bat swooping across the fields. We particularly liked that it is on the outskirts of Lymington, with the town centre only a 15min walk away. I feel our positive experience at Leyland was principally attributed to Liese's welcome. We have stayed at many B&B and hotels and have never received the small and welcoming gesture of tea in the garden (most proprietors would think the tea/coffee provided in bedrooms was more than sufficient). It gave us a chance to recharge, take in our surroundings and get to know Liese. From that moment, Liese was always helpful and informative, particularly for local walks and places to eat as my other half is a vegetarian. Breakfast was consistently tasty and prompt. Liese is also a great breakfast host! Other members of staff and family we came across were also pleasant. We stayed in the Purple room and have no complaints. Nice views, clean (every day), uncluttered, and a great shower en suite. No problem with WIFI. If we needed anything, we only had to ask and it was provided. We mainly followed Liese's advice and as a result thoroughly enjoyed our time in Lymington and its surrounding areas. However, we would like to suggest making time to visit The Mill at Gordleton in Hordle, which has both lovely food and a fantastic garden. Excellent location, friendly service and overall we had a lovely stay here. The only thing we would perhaps change is the check out time of 10am is abit early. We wil definitely come and stay again. We left the car at the hotel all weekend as it was easy to walk into town. We went to the Isle of Wight for the day - it's easy to get the ferry and we really enjoyed it. We would recommend the Spanish restaurant La Vina on the High street, good service, lovely food and a good astmosphere and decor. We had a super reception with tea offered, and were so pleased to be able to go out for dinner knowing that our sleeping child was in safe hands. The food at Egans was amazing. Lovely stay at a beautiful house. Liese was very friendly and helpful. Everything was perfect, right down to the wonderful bath I had. Baillieu castle and village was delightful. Very good, lovely host could not do another. An excellently presented B&B. High Standard and greeted by the lovely Wendy who our 2 year old son adored. The purple room was beautifully decorated and had all the amenities needed to have a relaxing and comfortable stay. A stunning home. I wish I could have stayed longer (without husband and toddler) to read all the magazines provided in the room!! Many thanks, we will return. 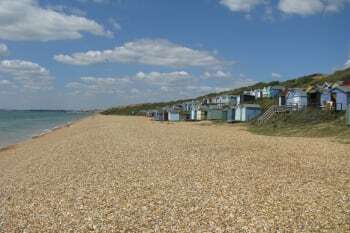 Great location, spent time on the beach at Milford on Sea and ate locally in Lymington town centre.